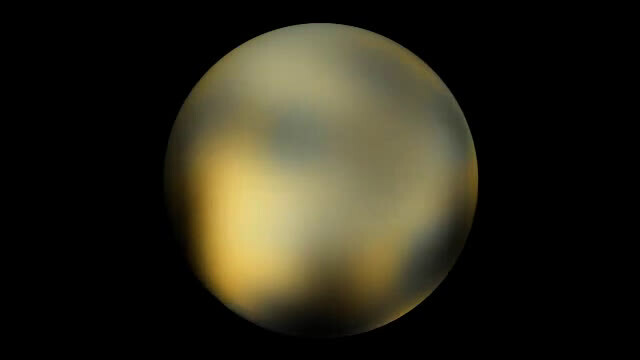 (PhysOrg.com) -- NASA today released the most detailed set of images ever taken of the distant dwarf planet Pluto. The images taken by NASA's Hubble Space Telescope show an icy and dark molasses-colored, mottled world that is undergoing seasonal changes in its surface color and brightness. 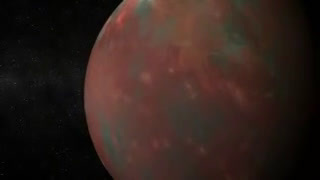 Pluto has become significantly redder, while its illuminated northern hemisphere is getting brighter. These changes are most likely consequences of surface ices sublimating on the sunlit pole and then refreezing on the other pole as the dwarf planet heads into the next phase of its 248-year-long seasonal cycle. The dramatic change in color apparently took place in a two-year period, from 2000 to 2002. The Hubble research results appear in the March 2010 issue of the Astronomical Journal. I wonder if the color changes have any relation to surface temps? Perihelion was in 1989 IIRC, and temperatures should have been falling shortly after that. Maybe something freezing out of the thin atmosphere? or maybe its global warming caused by humans. i mean our whole solar system is warming up... why wont anyone say that? i have my own thoughts as to why. in the end the truth is the truth. even our propaganda machine will run out of fairy tails for the people. go green because its better. the galactic plane is the real cause of climate change. but nothing we can do about it. Indeed. the wave approaches. Almost every planet has undergone large scale changes in the last few years. Pluto's 300% increase in atmospheric pressure is most likely related to the 20% fall in solar wind pressure and the shrinking of the heliosphere as we move into this energy-dense region of space. 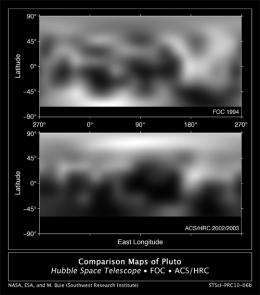 This article (http://www.space....09.html) based on a 2003 paper in Nature mentions a doubling of Pluto's atmosphere from 1998 to 2003. "In a deeper analysis of data first announced in October, researchers now say Pluto's atmospheric pressure doubled since 1988. They say the average global temperature must have climbed, too, by about 2 degrees Fahrenheit (1 degree Celsius)." "Despite NASA's unwillingness to commit to the mission[New Horizons], astronomers had long argued for it, citing the urgent need to get to Pluto before the atmosphere presumably freezes out." It is this sentiment, prevalent at the time, that I was referring to in my previous post. Not so sure about the solar wind angle, but I would guess that space weathering of volatiles on Pluto's surface could play a part in the color change. Sorry about the link. Try: http://74.125.47....mp;gl=us (Posted 6-9-03 on Space.com). Any one else really wish New Horizons had a lander or something similar to actually place on Pluto for further study? I'd love to see more data gathered on the whole Pluto system, since it is almost a binary dwarf-planet. Also, maybe we could get more information about the other large TNOs.